ANTHONY Mundine says a showdown against Jeff Horn next year "makes sense", but has set his sights even higher and believes he can lure superstars Canelo Alvarez or Gennady Golovkin to Australia. After confirming that he will fight Tommy Browne on January 17 at Sydney's Star Casino, with the winner to earn a top 10 ranking in the WBO's middleweight division, Mundine revealed some of the options he is exploring to see out his career. Among them is a fight against Manny Pacquiao conqueror Horn - who takes on Gary Corcoran next Wednesday in Brisbane in a bid to retain his WBO World welterweight title - and Mundine believes a bout against Australia's top pugilist would be easy work. "I'm too big, too strong, too fast, too everything," Mundine said. "I give him props for what he's done, he hasn't got the best talent but he's got hard work ethic and he made his dream a reality through sheer hard work. "He's got a bit of a punch too. Good on him, but if he comes up against me it's the wrong move. "Obviously it makes sense, because national fights, especially two Australians known throughout the boxing world makes for a massive fight. 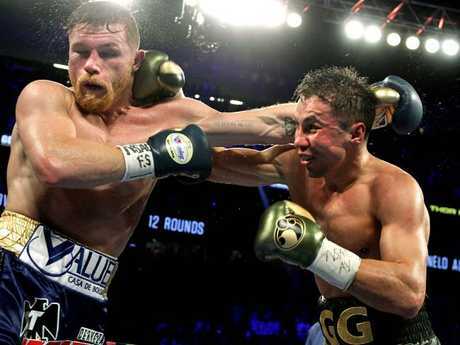 Canelo Alvarez (L) and Gennady Golovkin (R) battled to a controversial draw earlier this year. "Danny Green don't want it, so if he want it, he can get it. "But I'm not focused on him, I'm focused on leaving by fighting the best and solidify my greatness in the sport." That plan revolves around defeating Browne, then taking on England's WBO World champion Billy Joe Saunders, and taking that title to lure either Alvarez or Golovkin to Australia. "It's very realistic because I've built a brand in this sport for the past 17 years, there's names I've beaten who are household names, legends," Mundine said. 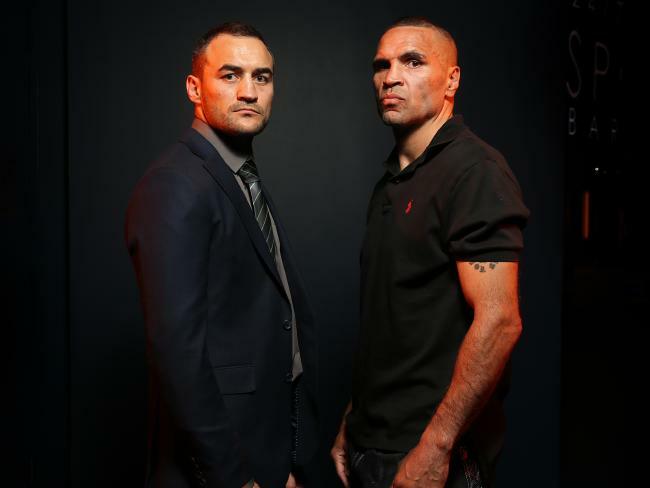 "The boxing world knows who I am, they know Anthony Mundine, they know my capabilities. "I've got to win; against Tommy Browne, against the next guy, I've just got to keep winning. "They're the big dogs, they know who I am, I've just got to keep winning and look impressive." Mundine (47-8, 27KO) said he's willing to fight in England against the undefeated Saunders to take his belt. Mundine called out Jeff Horn (pictured). But first the 42-year-old must beat 34-year-old Browne, who believes The Man is already distracted by future fights he plans to ruin. "He wants that fight with Jeff Horn," said Browne (35-6-2, 13KO). "If I get the win over him maybe I could be Jeff Horn's next opponent. 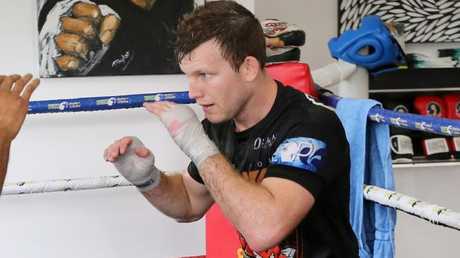 "The top 10 middleweight ranking, that'll also put me in a position there to chase a big fight. "He's already said I'm just like a sparring partner, hopefully he believes that. "Because on the night, after the first round, I believe he'll go back to the corner - if he makes it there - and he'll be thinking a lot different." "I see the look in his eyes, this is going to be a fight," Mundine said. "But him at his best verses me at my best, chalk and cheese."